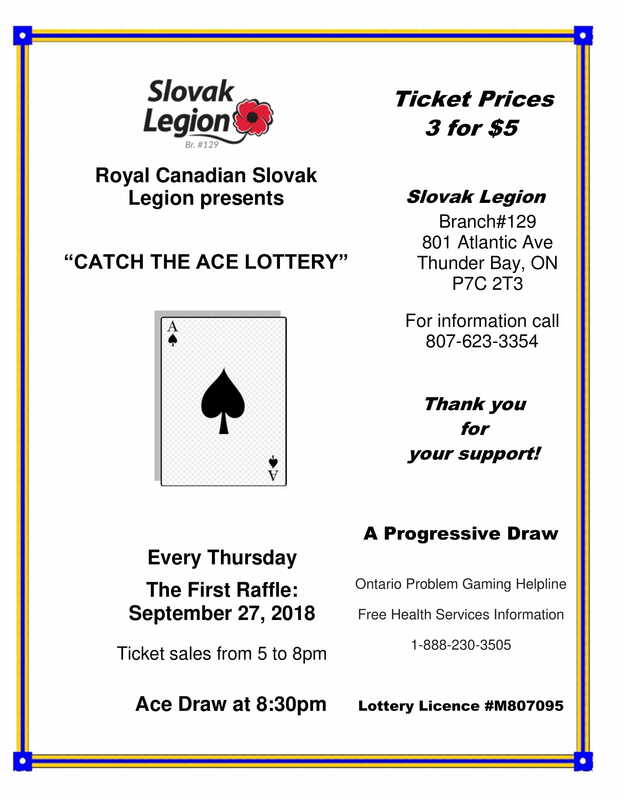 The Royal Canadian Slovak Legion “CATCH THE ACE LOTTERY” starts Thursday September 27 and every THURSDAY! See you out for a lot of fun THIS THURSDAY and every THURSDAY till we catch the Ace! This current draw ends when the ACE is caught! Our Restaurant is open from 4pm with added Supper Specials during “Catch the Ace”. Look at all Thursday events for more information. Click on View All Events, if needed, to see the information or see the Poster below. Thank you for your support!